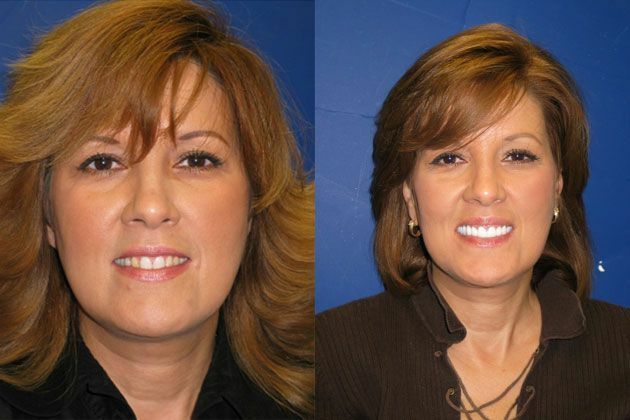 Bone grafting and soft tissue augmentation have become common oral surgeries during the last decade. This is largely attributed to the rising popularity of dental implants as a solution for teeth that must be extracted or have fallen out from damage, trauma or decay. When a tooth is lost, the surrounding bone naturally begins to shrink, becoming reabsorbed back into the body. This physiological response is completely unavoidable and can make restorative dentistry very difficult to undertake. The gums can also begin to shrink, and sometimes there is not enough quality soft tissue in the mouth for implants to be placed. Bone grafting and soft tissue augmentation gives dentists the opportunity to place dental implants, restoring the functionality and appearance of your mouth and smile. One of the biggest elements of dental implants is fusion to the jaw bone. 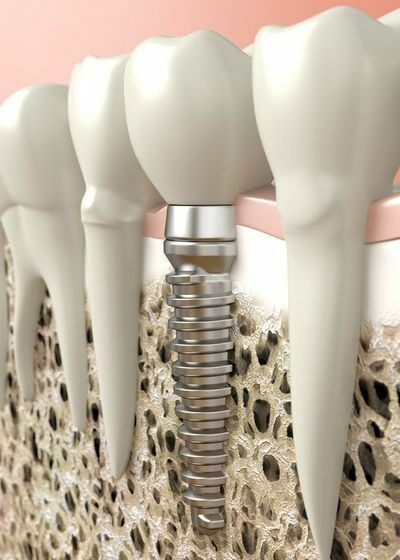 The process, known as osseointegration, permanently attaches the titanium post of the implant to the jawbone, providing an ultra-strong, durable foundation for the replacement tooth. However, patients who do not have an adequate quality jawbone for the implant to fuse to will not be suitable candidates for the procedure. Bone grafting can repair the implant site by restoring bone structure. Bone grafts can be performed many ways. We use freeze dried donor bone at the implant site. Bone grafting encourages regeneration to create a stronger, healthier jaw that is capable of supporting restorative dentistry. If grafting is necessary for an implant procedure, it is often done the same day as the implants are placed. For patients with gum recession, we might recommend soft tissue augmentation. Soft tissue grafting can also help to provide improved appearance once the implants are in place, creating a healthier and more natural-looking smile. At our convenient dental office, we will complete all of the steps for your implant treatment conveniently under one roof. Oftentimes, implant providers will offload bone graft procedures to specialists. We are certified and experienced in completing bone grafts, so you don't have to travel elsewhere for advanced dental work. For more information on bone grafting and soft tissue augmentation, make an appointment at our modern, comfortable office, where a member of our experienced team will be happy to advise you.